Experience the exciting internships at some of the most successful companies in the industry. Practical learning experiences complement academic programs. Without a doubt, our required internship experience is a transformative experience that will bring your classroom learning to life. The internship program prepares students for the real world of work while providing the industry with well-trained employees. As a student, you will begin preparation for your internship during your junior year in a professional development course. This course is designed to help you become aware of industry hiring trends and to ensure you feel prepared to step into the role of a professional business person. 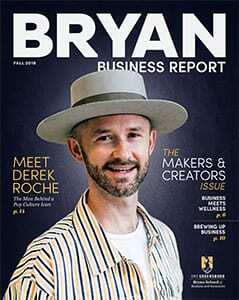 Located in the Piedmont Triad (Greensboro, High Point, and Winston-Salem), the Bryan School of Business and Economics offers students the unique opportunity to integrate classroom work with the retail, apparel and textile industries that fuel the local economy. Our interns have worked in firms such as VF Corporation, HanesBrands, Polo/Ralph Lauren, and Belk. But you don’t have to stay local. You could go to such exciting places as New York, Los Angeles, London, or Hong Kong! Our students have interned at leading companies around the world, such as Barney’s, Sak’s, Calvin Klein, Tommy Hilfiger, Vibe Magazine, and Alice and Olivia. Intern positions held by students include Assistant Retail Buyer, Assistant Designer, Visual Merchandiser, Fashion Illustrator, CAD operator, Assistant Stylist and Merchandise Specialist. 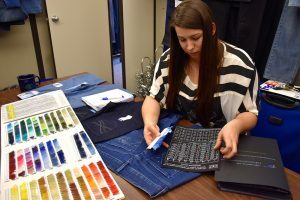 Students in the Master’s in Retail Studies (Global Apparel Management Concentration) program looking to gain practical industry experience can complete your capstone practicum as an internship.